In 2017, nine motorcyclists were killed on Lorain County roads. The Lorain County Safe Communities Coalition works to help keep everyone safe on the road. 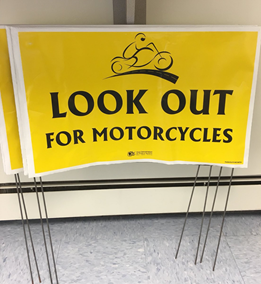 Want motorcycle signs or bumper magnets to show your support? Here are some ways everyone can help keep motorcyclists safe on the roads. Motor vehicle drivers – share the road with motorcyclists, bicyclists, and pedestrians. Drive defensively, drive sober, and pay attention to the road at all times. 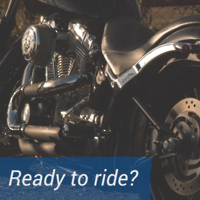 Motorcyclists – brush up on your motorcycle knowledge and skills. Attend a Motorcycle Ohio training in near you - visit Motorcycle.Ohio.gov or call 800-837-4337.